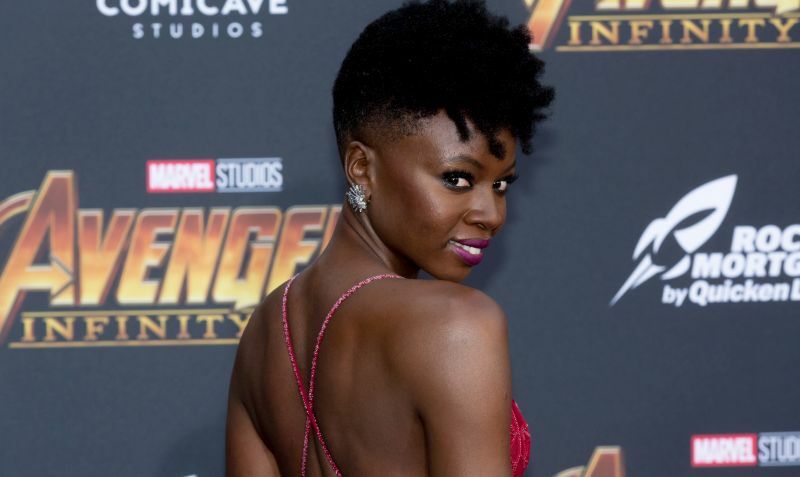 Deadline reports that Danai Gurira (The Walking Dead, Black Panther, and Avengers: Infinity War) is doubling down on fan favorite franchise roles and is in early talks for Legendary’s Godzilla vs. Kong. Should the actress sign on she will join Millie Bobby Brown (Stranger Things, Godzilla: King of the Monsters) and Julian Dennison (Deadpool 2, The Hunt for the Wilder People) in the 2020 Monsterverse movie. Adam Wingard, the filmmaker behind You’re Next, The Guest, and Blair Witch, will direct the film. The outlet also notes however that Gurira is circling another high-profile project, Paramount’s upcoming fourth Star Trek. Paramount has already hired director S.J. Clarkson to helm the next adventure of the Enterprise crew, making her the first woman to direct a Star Trek movie. Written by J.D. Payne (Godzilla vs. Kong) and Patrick McKay (Beyond), the upcoming sequel will reportedly follow Kirk as he encounters his father in a time travel incident, with Chris Hemsworth (Thor: Ragnarok) set to reprise his role from the 2009 reboot. Star Trek 4 will be a different film from the still in-development Quentin Tarantino Star Trek project. It remains to be seen if Gurira will be able to commit to both projects or if she will ultimately have to pick one over the other. Both films are close to production but only Godzilla vs. Kong has an official release date, set to crash into theaters on May 22, 2020.